What can we share ? 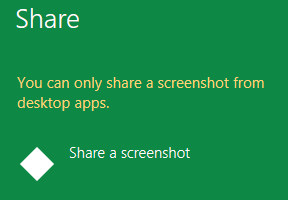 Each sharing operation can contains one item of each type listed above. 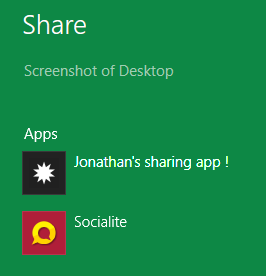 How to enable the sharing ? 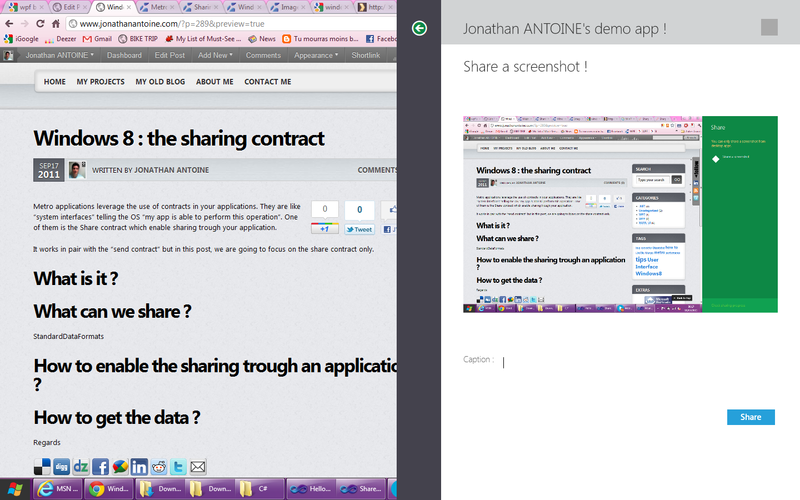 The first thing to do is to tell the system that you application is sharing-enabled. This is done via the application manifest, named Package.appxmanifest by default. By double-clicking on it, you brings up the visual studio editor which lets you configure it. In your case, we are interested by the third tab named “Declarations”. We are going to declare to the system that our app is a share target. How to get the data ? The data processing is pretty easy too. 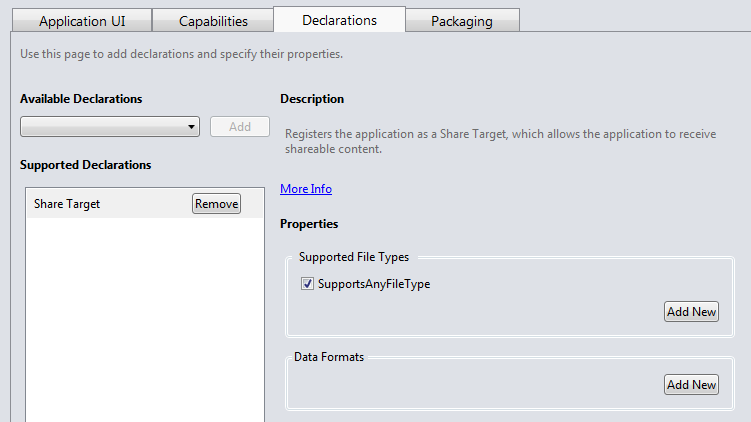 There is a “Contains” method which can tell the developper if the shared object contains a specific type of data. You only have to provide a format string using the StandardDataFormats class. Then you can retrieve the data using the exposed methods : GetBitmap, GetStorageItemsAsync, GetText, GetHtml, GetRtf or GetUri. // does it contains an image ? ReportCompleted: the sharing is finished succesfully ! This quicklink may be provided to the ReportCompleted. It is builded from an icon, a title, the supported files types (why ? 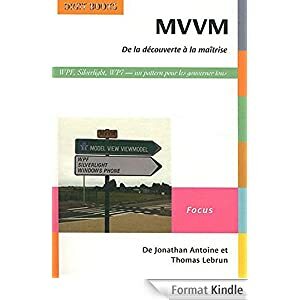 ), the supported formats (why ?) and an Id. This is a great feature which introduce some new way to improve the user experience. It is easy to implement but demands to be aware of some new concepts which have been seen here ! 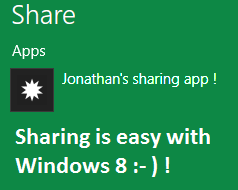 « Windows 8 : display an image stored in the sharing data.